In a few days, the main color will be green when St. Patrick’s Day arrives. Prior to that, there is an event tonight that features a huge array of colors – and music. On March 8, the World Café Live (3025 Walnut Street, Philadelphia, 215-222-1400, www.worldcafelive.com) will host “Festival of Colors,” which is Red Baraat’s annual Holi celebration tour. The tour had its debut in 2012 and has since expanded to a major annual tour. Each year, bandleader and dhol player, Sunny Jain curates a vibrant night of music and art highlighting the South Asian Diaspora in America and beyond through a diverse range of styles and mediums. Holi is a Hindu holiday marked by public gatherings of families, friends, and strangers rejoicing in song, dance, and the exchange of “colors.” The holiday signifies the victory of good over evil, the arrival of spring, an opportunity to meet others, play and laugh, forget and forgive, and repair ruptured relationships. It is celebrated at the approach of vernal equinox on the Phalguna Purnima (Full Moon). The festival date varies every year, per the Hindu calendar, and typically comes in March in the Gregorian Calendar. 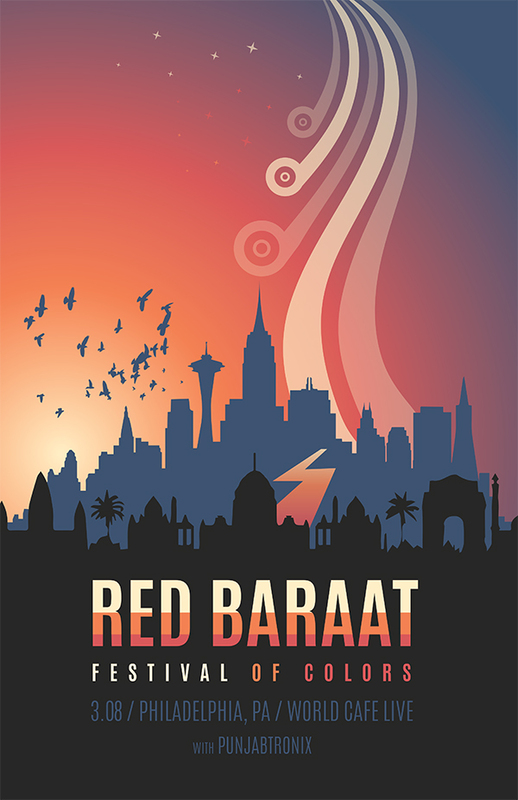 In addition to Red Baraat, this year’s line-up features Punjab live electronica act Punjabtronix, DJ Rekha, Women’s Raga Massive, Hindi jazz singer Subhi, singer/songwriter Bhi Bhiman, singer Zeshan B, and composer/guitarist Rafiq Bhatia. It is safe to say that there is no other band in America like Red Baraat. Brooklyn-based Red Baraat is a Bhangra band — and a whole lot more. Bhangra is party-style folk music from the Punjab regions of India and Pakistan. Red Baraat’s founder and leader is Sunny Jain, a New York jazz musician of Indian descent whose main instrument is the dhol (a double-headed drum from India). “I had been playing drums and tabla before I started playing dhol,” said Jain, during a phone interview from his home in New York. “One time when I was in India, I was in a shop buying a tabla. I saw a dhol there and decided to buy one. I took lessons in New York and instantly fell in love with it. “It was a great feeling because I wasn’t confined to a drum set. And, with the drum hanging at your gut, the sound resonates through your entire body. Red Baraat is an eight-piece band featuring: Sunny Jain – dhol; Rohin Khemani – percussion; Chris Eddleton – drumset; Jonathan Goldberger – guitar; Jonathon Haffner – soprano sax; Sonny Singh – trumpet; Darius Christian Jones – trombone and Steve Duffy – sousaphone. The band’s influences extend beyond bhangra and include jazz, Latin, funk, brass band and Bollywood. “I wanted to play something that was upbeat and joyful,” said Jain, who is a respected drum and percussion player in the New York jazz scene. “It was just another project of mine — drums and a brass band with no guitar and no electric instruments. That changed when we added Jonathan Goldeberger on guitar. Red Baraat has released six albums. The most recent is “Bhangra Pirates.” The album has similar song titles to those on a previous album “Gaadi of Truth,” which now no longer exists. “I worked on ‘Bhangra Pirates’ in the fall of 2016,” said Jain. “I got it together within a few months. The material on it came from a digital EP ‘Live Wire,’ some songs that were never recorded before and some from ‘Gaadi of Truth,’ which we have withdrawn from the catalog. “For the last two-and-a-half years, we’ve had a guitarist in the group and people wanted a recording by this band. All the songs in our repertoire took on new shape when we added guitar. Listening to the originals back-to-back with the versions on “Bhangra Pirates,” Red Baraat’s new direction becomes obvious. “Bhangra Pirates” (Rhyme & Reason Records) reflects a more evolved and elaborate sound developed over the last two years of heavy touring and the addition of a full-time guitar player. The new album is the first release to represent this updated version of the ensemble that is well- known for its consistent experimentation, innovation, and ability to develop raw energy by pulling the best elements of trial and error. “It took me about four months to do it,” said Jain. “I was working feverishly – bouncing files back-and-forth for months. I’ve also made some changes with the dhol. I’m processing it through reverb and then processing it through delays and phasers. “Adding guitar made a big difference. I had known Jonathan for a while. At that point, we were experimenting with bringing in a chordal instrument. “After that, I decided that we needed a guitar in the group. We auditioned a lot of guitarists and Jonathan was the one. He can play jazz and he understands Indian music. “With the old lineup, there was too much of an acoustic sound. It didn’t have the energy I wanted it to have. Our producer Dave Sharma produced it more like rock and that made me feel more alive. Red Baraat presents a musical smorgasbord that keeps adding new dishes all the time. “‘Bhangra Pirates’ marks a growth for us as our acoustic instrumentation evolves into new sonic spaces,” said Jain. “The process was so incredibly inspiring. We’re super excited for this album and think it’s our best yet. Punjabtronix is a new collaboration of award-winning British electronic music producer DJ Swami and an ensemble of gifted traditional Punjabi folk musicians from his ancestral homeland of northern India — including multi-instrumentalist Vijay Yamla on tumbi, tumba, algoza and bugchu; sought-after sarangi player Dheera Singh; dhol and dholak virtuoso Naresh Kukki, and acclaimed vocalist Gurtej Singh. The music they make together is a merging of cutting-edge UK electronic music and technology with tradition, connecting and conversing with the raw energetic DNA of India’s culturally rich northwestern Punjab region. The group’s unique concerts feature striking visuals programmed live on-site for every event by English filmmaker John Minton, known for his experimental, hallucinatory, low-fi style of grainy, super-8 textures, iridescent glowing hues, and mesmerizing imagery. 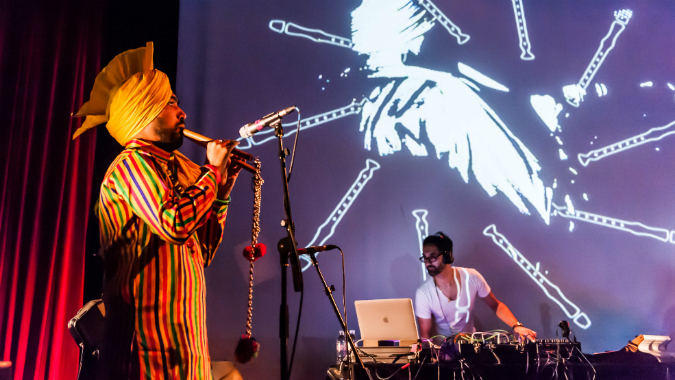 For each Punjabtronix performance, his visuals blend vivid images of Punjabi culture, landscapes, and archival footage, producing an evocative complement to the music. PunjabTronix performances are a live mixture of electronic dance music with thunderous Punjabi dhol drums, dazzling vocals, traditional sarangi and tumbi stringed instruments, and the hypnotic double flute called algoza. They weave traditional melodies with live electronic drum machines, synthesizer arpeggios, and basslines, layered with the distinctive rhythms and melodies of the Punjab. “I’ve been going to Punjab for years on my own projects,” said DJ Swami. “When I was in Punjab last February, I was introduced to Vijay and had a jam session with him. Then, the project grew with the addition of other musicians and got perfected as a fusion of Punjab folk and electronics. Mercury Award-nominated DJ Swami has always explored the hybrid diaspora identity, finding synergy and pushing the boundaries of British and Indian contemporary music to create exciting new musical milestones. His unique creative perspective and fusions of western popular/contemporary with Indian music has been widely honored – including a 1993 Mercury Music Prize nomination, a 2004 Grammy nomination, and a Best Producer Award at the UK Asian Music Awards in 2005 and in 2008. Pumjabtronix also provides life parallels for DJ Swami. 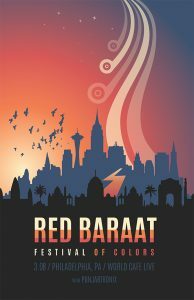 Video link for Red Baraat – https://youtu.be/rjIO8BKk9nE. Video link for Punjabtronix – https://youtu.be/kfmTQ5ra61s. The show at the World Café live will start at 8 p.m. Tickets are $20. Other upcoming shows at the World Café Live are Nada Surf on March 9, Alive! ’75 on March 10, and Shane Smith & the saints on March 14. Imagine if Comic-Con hooked up with a fast food chain and got reincarnated as a metal music tour. The result would likely be very similar to Mac Sabbath’s “I Got a Bad Feeling About This Tour,” which is out on a one-month run across North America. 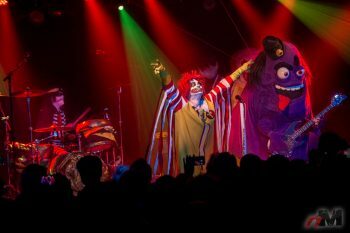 The tour, which features Mac Sabbath and Galactic Empire, will touch down locally on March 8 at The Foundry at Fillmore Philadelphia (1100 Canal Street, Philadelphia, 215-309-0150,www.thefillmorephilly.com). 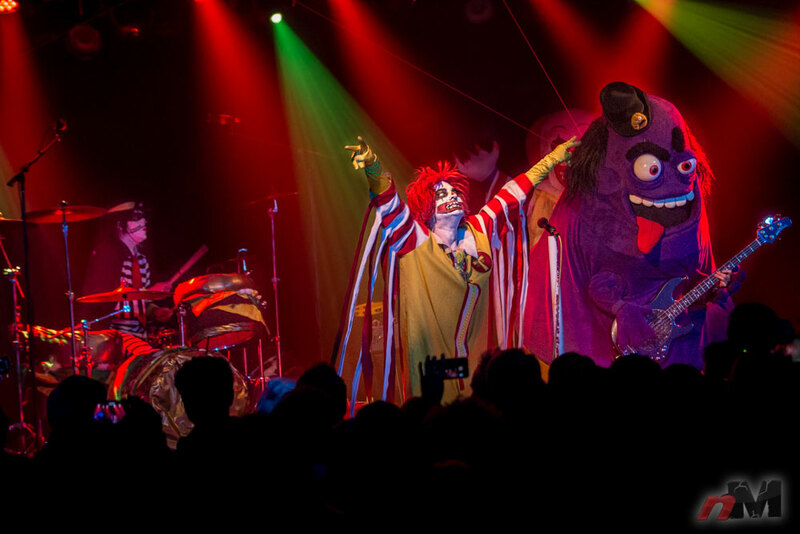 And, if you like music parodies and intelligently humorous lyrics that poke fun at a fast food icon, then you’ll probably really like Mac Sabbath. Actually, even if you just like well-played metal music by experienced musicians, then you’ll probably really like Mac Sabbath. Mac Sabbath is a band from Los Angeles with no peers. The veteran musicians – Grimalice, bass; Ronald Osbourne, vocals; The Cat Burglar, drums; Slayer MacCheeze, guitar – are the kings of “extra cheesy” metal covers. Together, they put on a theatrical, multimedia stage show with a smoking grill, laser-eyed clowns, bouncing burgers and many more magical surprises. None of the band members speak to the press but the task is ably handled by the group’s manager Mike Odd, former lead singer of Rosemary’s Billygoat and owner of a bizarre shop on Sunset Boulevard in L.A. called The Rosemary’s Billygoat Odditorium. “I used to run Odditorium in Hollywood and I chased down weird stuff,” said Odd, during a phone interview. “I got an anonymous call to meet this guy at a fast food place in Chatsworth, California. “This mess of a clown burst through the door wearing a costume of bright yellow and red, and giant shiny shoes. His costume was trailed by long, tattered, hippie fringe that was dirty from scraping the floor and his face was caked in ghostly make up. He said his name was Ronald Osborne, and he that he was familiar with my band Rosemary’s Billygoat. “He said he had a concept I might appreciate — something he described as ‘drive-thru metal.’ He invited me to come to a secret 3 a.m. meeting to watch him and a cast of characters named Slayer Mac Cheeze, Grimalice, and the Cat Burglar perform. Odd told Ronald that he would manage his band — even if it was a disturbed clown and a band of Monsanto mutants who refuse to reveal their identities because they think they came here from a wormhole in space time direct from 1970. “We filmed one of our first public shows and then put ‘Frying Pan’ on YouTube,” said Odd. “It got picked up by everybody. Even Black Sabbath pushed it. They got it. And, when they posted the video, it went out to 10 million Black Sabbath fans. On the “I Got a Bad Feeling About This Tour” will be joined by equally mesmerizing pop culture-inspired band – Galactic Empire. On Galactic Empire’s Facebook page, the band posts this biography – “A long time ago in a galaxy far, far away…. 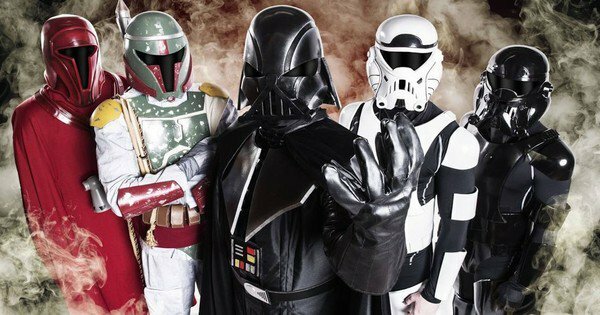 actually fairly recently – a new heavy metal band was formed by some of the most infamous and feared villains in the galaxy. Introducing Galactic Empire. The band performs classic pieces from the iconic soundtrack of the Star Wars films written by John Williams. Video link for Mac Sabbath — https://youtu.be/p7kFfLRcHjU. Video link for Galactic Empire — https://youtu.be/nohQReM7BpI. The show at The Foundry, which has Counterfeit as the opening act, will start at 7:30 p.m. Tickets are $18. Other upcoming shows at The Foundry are Crooked Colours on March 9, J. Boog on March 10, Amy Shark on March 11, SAINT WKND on March 13 and The Hunna and Coasts on March 14. Anyone familiar with rock music in the 1980s should be well acquainted with The Revolution – the band formed in Minneapolis, Minnesota in 1979 by Prince. The Revolution rose to international fame in the mid-1980s with “Purple Rain,” an album that sold more than 13 million copies in the United States alone. The band was one of the most successful music acts of the 1980s and sold over 16 million albums just in the United States. 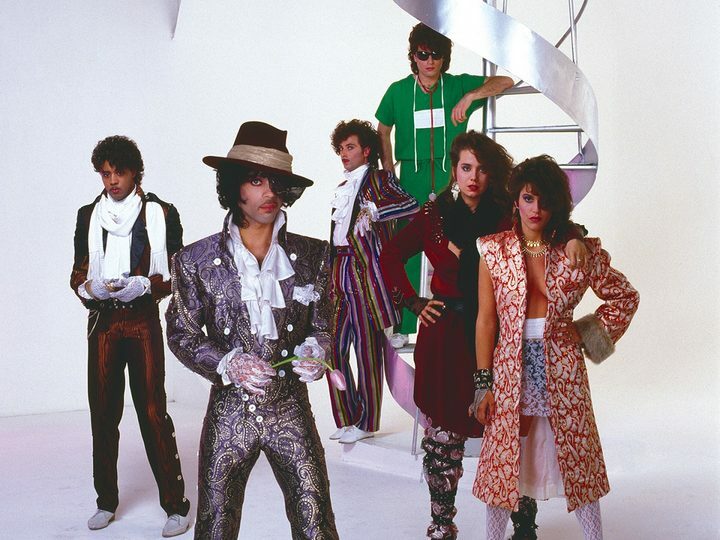 Prince and The Revolution achieved two Number One Billboard 200 albums (“Purple Rain” and “Around the World in a Day”), six Top 10 singles on the Billboard Hot 100 chart and won three Grammy Awards. The Revolution — Bobby Z., drums & percussion; Matt Fink, keyboards; Lisa Coleman, keyboards and piano; Brown Mark, bass guitar; Wendy Melvoin, guitar — officially disbanded in 1986 at the end of the Parade tour. Now, The Revolution has been resurrected. On March 9, The Revolution will perform at Sugarhouse Casino (1001 North Delaware Avenue, Philadelphia, 877-477-3715, https://www.sugarhousecasino.com). “When Prince disbanded The Revolution in 1986, he had me remain onboard for another four years until I left,” said Dr. Fink, during a phone interview last week from his home in Minneapolis. “The Revolution got back together in 2003 for a one-time gig – a Sheila E charity event for her Little Angel Bunny Foundation. We considered reuniting with Prince but he was indecisive. Fans of Prince and The Revolution have greeted the band’s shows with great enthusiasm and that has led to the quintet’s decision to keep on playing. The music made by Prince and The Revolution has spanned generations. The thought of The Revolution teaming up with Bruno Mars for a project is definitely an exciting thought. The show at Sugarhouse Casino will start at 9 p.m. Tickets are $49 and $59. Rapper/producer D.Lynch is coming home and that is bringing a smile to his face. Several years ago, he graduated from Council Rock North High in Bucks County and then spent time living in Drexel Hill. Then, he relocated to sunny San Diego, California. D.Lynch recently released his new album “1985” through Red Label Records LLC. The album features guest appearances by Snoop Dog, Wiz Khalifa, Rick Ross, Royce Da 5’9, Havoc of Mobb Deep, and production work by Hopsin. The album has been garnering the attention of hip-hop press from the likes of HipHopDX and HotNewHipHop. “I have my own studio here in San Diego. I originally started making the album with Alan Vega in his studio and then moved to my studio. According to D.Lynch, “The writing and producing of this album took two years. This album is the highest level of blood, sweat, and tears that I could have possibly put into it. ‘1985′ heavily focuses on traumatic events that played out in my life and is correlated with what is currently happening in American society. Dan Byelich, aka D. Lynch, has been grinding through the ranks of the hip-hop scene. As a producer, D. Lynch has written songs for labels such as Roc Nation, Shady Records, Sony Records, and Universal Music Group. His artist and production credits range from legends such as Snoop Dogg, Royce Da 5’9 and more to underground artists such as Cage and Masta Ace. As an M.C., D.Lynch’s versatile style and a sound reminiscent of the grimy east coast style mixed with the ruggedness of west coast rap. He has done tracks with hip-hop heavyweights Hopsin, Cage, and Famous Dex amongst others. “My producing started when I was in high school,” said D.Lynch. “I had a music technology class that was basically a production class. I started working with Garage Band and moved up to Logic. With the two artists performing as a duo, Little Stranger is a fresh hybrid of John’s singer-songwriter magnetism and Kevin’s hard hitting, in-your-face delivery. Stylistically reminiscent of Gorillaz and Twenty One Pilots, Little Stranger inhabits a relatively unexplored niche at this point in time. They’re all about originality, every song is a separate work unto itself with all the strangeness that their name implies. What started as a side-project quickly moved into the forefront as the duo’s chemistry on stage and in the studio sparked a unified vision. With influences from artists such as Beck, Gorillaz, and Outkast, Little Stranger combine melodic songwriting with hip-hop-inspired lyricism. Little Stranger was quickly recognized at home, named “Hip-Hop Act of the Year” in the 2016 Charleston City Paper Music Awards and listed jointly as one of “17 People to Watch in 2017” in the Charleston Indie blog, Out of the Woodwork. Video link for D.Lynch – https://youtu.be/KxqwuHOitIA. Video link for Little Stranger — https://youtu.be/ZNimkdOavnI. The Show at MilkBoy Philly, which also features ¡Mayday! and Little Stranger, will start at 8:30 p.m. Tickets are $15. Other upcoming shows at MilkBoy Philly are Waverunner on March 8, and Gain Strive on March 10. 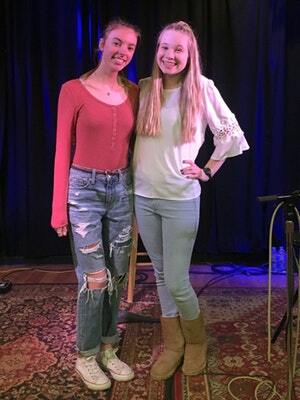 On March 11, Kennett Flash (102 Sycamore Alley, Kennett Square, 484-732-8295, http://www.kennettflash.org) will host a special show featuring two talented young music acts from Chester County — Julia Johnson and Felicia Berrier. Johnson is a 17-year-old classically trained electric violinist from West Chester. She attends school at Downingtown West High School and participates in Women’s Choir, the Chester County Youth Orchestra, and Tri-M Honers Society. Aside from her everyday activities and practicing routines, she enjoys writing and arranging her own original music and performing covers at open mics. Her inspiration comes from various artists such as Lindsey Stirling, Blackmill, and OneRepublic. Julia performed her first open mic at The Flash in December 2016 and since then has had a show at The Flash and has performed in local open mics such as The Boxcar, and Steel City. Julia continues to follow her passion as an electric violinist and keep creating original music. Berrier is a fifteen-year-old singer, songwriter, and musician from Kennett Square. She is currently a freshman at PA Leadership Charter School’s Center for Performing and Fine Arts (PALCS/CPFA). She has loved singing and music all her life but soon decided to branch out and take her music to the Kennett Flash’s open mic in October 2016. Berrier released her first single “Figure It Out” in May 2017 when she was 14. She plans to continue releasing music as well as performing locally. The young singer gets inspiration from musicians such as Taylor Swift, Adele, and Sia. She has the ability to make every song her own when both covering songs and singing songs she has written. Doors open at 5 p.m. and the show starts at 6 p.m. Tickets are $10. Other upcoming shows at Kennett Flash are James Maddock on March 9, Stu Hamm and Tom Griesgraber on March 10, and Julia Johnson & Felicia Berrier on March 11. 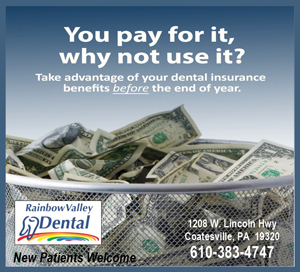 The Steel City Coffee House (203 Bridge Street, Phoenixville, 610-933-4043, www.steelcitycoffeehouse.com) will present Tin Bird Choir on March 10. The Colonial Theatre (Bridge Street, Phoenixville, 610- 917-1228, www.thecolonialtheatre.com) will host Five for Fighting with String Quartet with special guest Marie Miller on March 11. Chaplin’s (66 North Main Street, Spring City, 610-792-4110, http://chaplinslive.com) will present Dads Wardrobe, Olivia Swenson, and Mike Labella on March 9. The Ardmore Music Hall (23 East Lancaster Avenue, Ardmore, 610-649-8389, www.ardmoremusic.com) will have Melvin Seals with special guest Toubab Krewe on March 9 and “An Evening with Jeff Mattson & Friends” on March 10. Burlap & Bean Coffeehouse (204 South Newtown Street Road, Newtown Square, 484-427-4547, www.burlapandbean.com) will present The End of America with Letitia VanSant on March 9, and Christine Havrilla & Gypsy Fuzz with Meredith Rounsley on March 10. The Keswick Theater (291 N. Keswick Avenue, Glenside, 215-572-7650, www.keswicktheatre.com) presents The Borowitz Report Live with Andy Borowitz on March 8, Dave Mason on March 9, Real Diamond on March 10, and the Righteous Brothers on March 11. Cactus on March 8, Roomful of Blues on March 9, Edwin McCain on March 10, The Four Bitchin’ Babes on March 11, and Peter Asher & Jeremy Clyde on March 13. The Grand Opera House (818 North Market Street, Wilmington, Delaware, 302-652-5577, www.thegrandwilmington.org) will have the Dixie Dregs on March 8, Five for Fighting with String Quartet with special guest Marie Miller on March 10, Jeff Boyer’s Bubble Trouble on March 11 and My Father’s Dragon on March 14.